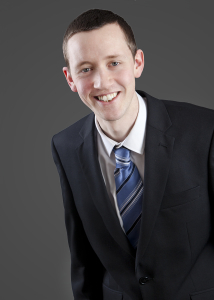 Stephen recently joined us as a Private Client Solicitor having qualified as a Solicitor in 2014. Stephen read Law at King’s College London University and graduated in 2009. He moved with his family from London to Cambridgeshire in 2010 and began working with a law firm in Cambridge as a legal assistant. Stephen progressed to complete his training with that firm in 2014. Much of Stephen’s training was focused on providing services in Wills, Probate, Powers of Attorney, Trusts and Court of Protection matters. Following qualification Stephen worked with a law firm in Ely until joining Edmondson Hall in December 2016. Stephen enjoys his work as a Private Client Solicitor and provides an efficient, responsive and sympathetic client service. “You have no idea how much I appreciate all of your help that you have given to me. As far as asking how I think that you could improve your service, I would find it very hard to advise you on that, because as far as I am concerned you and your Company are top class, and your reputation goes before you. I would just say, a simple “keep up the good work”.